Gautham Ponnu. I'm a passionate technology enthusiast, writer and traveller. I love wandering and exploring new things and meeting new people. I love her, books and football. I aspire to build my own business one day. I am currently pursuing my Masters degree in Electrical and Computer Engineering at Cornell University. I enjoy everthing from building FPGA systems, studying astrophysics and learning finance. The iconic VLC media player by the VideoLAN foundation is easily one of the most famous video players out there in the web today. I designed the icon that was used during the Holiday Season in December 2012 and it got feautured in the official web page. 'The First Lecture' [ TFL ] is a series of lectures given by students for students. It consists of a series of short, carefully-prepared talks on though-provoking subjects to foster learning, inspiration and share worthwhile ideas. It is an initiative I started and am passionate and involved with. NAN is a distraction-free, zen style editor whose aim is to create a writing experience like never before. NAN is built for minmalistic pleasure and to provide a visually appealing UI . 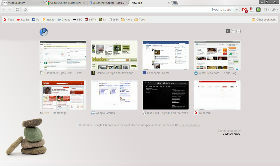 Shruti - meaning harmony, is a clean,minimal and meditative theme for Googles newest and greatest browser Chrome. 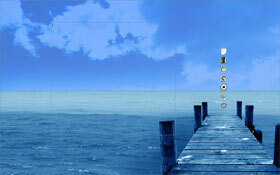 It's aim is to provide relaxing, soothing browser experience .While many minimal themes already exist, this one is more based upon providing a better overall feel. I started blogging around 2005 in blogspot ( Hey, everyone has to start somewhere ). However, I could never keep up with it and it was never much fun. In a rejuvenated effort I began blogging (seriously) again. I blog on anything in the galaxy, without discrimination. 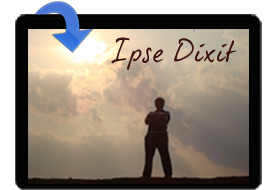 My blog is called Ipse Dixit, a latin phrase meaning he himself has said it. It comprises of my thoughts and feelings upon the various issues of life. In this blog, I post about my life, what I think about it, books, Music, Software and Technical Tutorials. 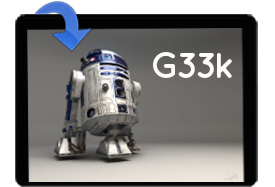 And then was born G33k — my official tech space where I maintain my tech conquests and adventures. Here, I share links, information, tips and views upon — Web 2.0, Upcoming web technologies, Linux desktop customization, programming, Bash scripts and other random stuff in not any necessary order. To contact me, send an email to gautham [dot] go [at] gmail.com. Copyright © Gautham Ponnu All rights reserved. Please look at the code. 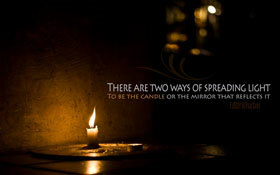 Get inspired. Don't steal.